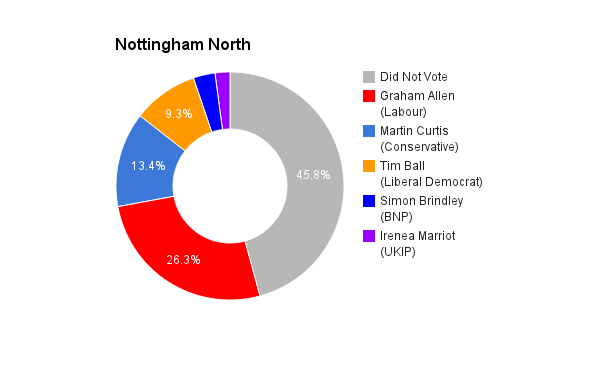 North area of Nottingham city, which was won by the Conservatives in the 1983 landslide but has re-elected the Labour Party since 1987. The incumbent MP is Graham Allen who has served since 1987. I’m standing for TUSC because no other political parties represent the interests of working class people, whether we are in work, unemployed or retired. Everything is run to make profits for the few. Wages have been battered, work conditions undermined and institutions like the NHS, British Rail, Royal Mail, energy companies and local authority schools – part of our heritage – are being taken out of our hands and run for profit. While leaders put their attention on cutting public services, scapegoating immigrants and giving themselves an 8% pay rise, they seem paralysed when it comes to tackling climate change or poverty – why? Because the “needs” of big business come first. I want change. We are the 6th richest nation in the world, big businesses are dodging £120bn in tax, the wealth of the top 1,000 people has increased by 15% in the past year while we endure the recession, and £750bn lies in the banks because investors can’t make enough profits from investing it. We have the money, technology, people and resources to make a good, fair life for everyone. Join us to fight for change. I will take the average worker’s wage (like Dave Nellist did). I will hold regular meetings to listen to and dialogue with people and meet with groups which represent working class people (trade unions, claimants groups, student and school groups, campaign and community groups as well as individuals). I have been to “consultation” meetings which are just powerpoint presentations and speeches – I will use different ways to make sure people have a voice. We are up against the interests of big business. Look what happened when Ed Milliband announced capping energy company prices – a massive backlash and they gave up. As a party we need to be in touch with and wholeheartedly backed by people so that we can get working class policies through. This is the only way we can eradicate poverty, stop climate change and create a safe world for all. At a council consultation meeting I challenged labour councillors about the cuts and was told “vote for someone else then” – that’s how I got interested in TUSC – and why I am standing. Nottingham MPs and councillors complain about the Bedroom Tax and council tax benefit cuts but the Council are still taking the poorest in society to court including for Bedroom Tax arrears. I have lived in Nottingham for over 30 years. 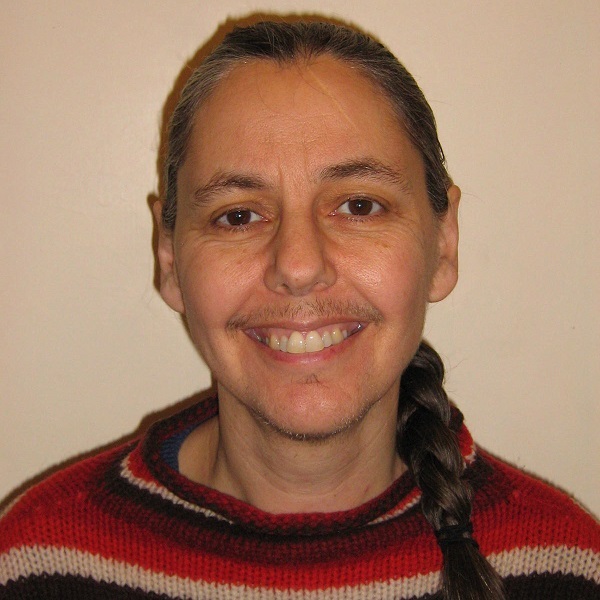 I’m a trade unionist and community campaigner. I am aware of the deprivation and poverty in Nottingham North which has worsened since austerity policies were brought in. I know that, despite what we are told, it is working class people who run this country – if we stopped, everything would fall apart. We have the resources, skills, technology and intelligence to provide a good life for all – if we are prepared to fight for it – and I am. I am sure Graham Allen helps people in many ways, however 2 key issues for me are austerity (cuts to public services and the NHS) and welfare – our safety net which limits how far wages get driven down. All (except 5) Labour MPs voted for the Condem’s “Austerity Bill” of £30 billion in cuts which Institute for Fiscal Studies warned would reduce public spending to 1930s levels. Only 13 Labour MPs voted against the ConDem welfare cap which is justified by stereotyping people on benefits as “scroungers” or “skivers” without one scrap of evidence. Graham Allen did not vote against either bill. If you vote for Labour because they are “not as bad”– it will be thrown back in your face whether Labour or Tories win – because your vote will be taken as a mandate for massive austerity and the welfare cap. No. The recession was caused by a crisis in the private sector, not the public sector. The profit motive cannot solve our long term problems and neither can austerity, which has created a massive shift of wealth from ordinary people to the rich 1%; the income of the top 1,000 households in the UK has doubled to £519bn since austerity began. The main parties say the deficit of £90bn is too high (it’s not historically high as a percentage of GDP), but Labour paid £80bn to bail out the banks and the Condem government have paid £375bn as “Quantative easing” which did not work. By taxing the £800bn that lies uninvested in the banks and properly pursuing £120bn avoided in tax, all our services can be funded. Austerity is an excuse to cut funding to services, make them “inefficient”, then privatise them to make profits for the few. Britain is run in the interests of the 1% not the majority. Big business hires the workers they can get away with paying the least, and then tries to lower all our wages in a ‘race to the bottom’: Paul Sykes – who has bankrolled UKIP – employs migrant workers. At the same time immigrants are scapegoated in order to confuse, divide and distract us. Global capitalism means anti-working class policies in one country can affect everyone–we can fight with each other to make sure we get a bit more or we can get organised to fight for decent wages and conditions for all and in solidarity with workers around the world. While migrants contribute to the economy like everyone else, government cuts destroy our public services, schools and homes when more people need them, leading to resentment. We need a united campaign for homes, public services and jobs for all. introducing a levy on the £800bn lying idle in the vaults of British big business which they are refusing to invest (because it won’t make enough profits)and we would also crack down on the estimated £120bn tax avoided and evaded by the wealthy each year. Fund it properly: In 2010 NHS England’s chief executive mandated the NHS to make £20bn “efficiency savings”. NHS workers always insisted these “savings” were impossible without cutting services. In 2012 the IFS reported “England’s NHS budget squeeze is already the “tightest four-year period for the last 50 years”, the NHS will need to find “an extra £20bn a year by 2020″ In July 2013 NHS England warned of an annual £30bn NHS funding gap by 2020-21. This, alongside increased costs: re-structuring (including redundancy pay), tendering, inflation, PFI and public service cuts (fewer community services for vulnerable groups etc) has created the funding crisis. A fully funded, public, integrated health and social care service free at the point of use. Scrap PFI and all privatisation, nationalise the pharmaceutical industry and social care. Part-funded by PFI (Private Finance Initiative) savings of £60bn and savings from nationalisation of big pharma. Unemployment doesn’t make sense. People working over 40 hours a week on insecure contracts barely earning enough to live off – working so hard that they have to spend days off recovering, working when they are sick because they are afraid of getting sacked. Others claiming benefit and working for free for big businesses under the workfare scheme. At the same time elders are getting degrading 15 minute visits from care workers, hospitals have a shortage of nurses and midwives and 3 week waits for a GP appointment. The profit motive is not intelligent – this is what it creates. A democratically planned economy, where all sections of society have a voice, would ensure that everyone could contribute to society, earn enough to live well producing what society really needs. We would begin with a massive environmentally-friendly council housing building programme, nationalising the banks, energy and transport companies. We’ve been conditioned to believe that competition equals efficiency, that the profit motive creates the best society and that the only people who know how to run things are the public school and Oxbridge educated mainly men in parliament. It’s easier for people who lose out from this society that is run for profit, to see how irrational it is and how it prevents us from eradicating poverty, injustice, climate change and wars. These are the people needed in parliament. Labour no longer represents the interests of working class people – the 99% who work (or claim benefits or pension) to survive. They reported my union, Unite, to the police-when they were using legal means to get more working class representation in the Labour Party (a woman as it happens) – there was no apology. A democratically run party founded in the Trade Union movement would increase diversity and representation in parliament. The EU used to have some progressive policies which benefitted workers. However now it openly supports neo-liberalism, austerity, free markets and the rule of profit. We support greater links with working class people across all borders but not on those terms.